On October 12, Judge David Glant (state Circuit Court) rejected a request from attorneys for Florida death row inmate John Ferguson (pictured) to halt his execution, despite acknowledging that Ferguson has severe mental illness. The judge wrote that Ferguson’s “documented history of paranoid schizophrenia” was “credible and compelling,” and that “it is inconceivable” that Ferguson would have received all those years of psychotropic medications and clinical treatment “were he not a diagnosed paranoid schizophrenic.” However, Judge Glant rejected Ferguson’s request for a stay of execution because, “[r]egardless of his long history of mental illness, there is no evidence that he does not understand what is taking place and why it is taking place.” As early as 1965, court records indicated that Ferguson was having “visual hallucinations.” One doctor said Ferguson “did not know right from wrong nor the nature and consequences of his acts.” A psychological diagnosis in 1975 warned that Ferguson “has a long-standing, severe illness which will most likely require long-term inpatient hospitalization” and that he was “dangerous and cannot be released under any circumstances.” Ferguson was released the following year and committed a series of murders. Now, 35 years later, he is scheduled to be executed on October 18. UPDATE: A new execution date has been set for Oct. 23, following the Florida Supreme Court's denial of Ferguson's appeal. UPDATE: The Oct. 23 execution date has been stayed to allow for a habeas corpus hearing on Oct. 26. Christopher Handsman, Ferguson’s attorney, said, “It is impossible to fathom that the State can constitutionally put to death a man who thinks he is the Prince of God and who believes he has a destiny of being the right hand of God and returning to purify earth after the State tries to kill him. That simply is not a rational appreciation for what's about to befall him. We are confident that either the Florida Supreme Court or the U.S. Supreme Court will prevent this unconstitutional execution from going forward." 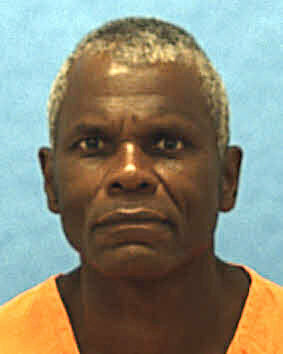 (F. Grimm, "Nothing good about execution of mentally ill man," Miami Herald, October 13, 2012). See Mental Illness and DPIC's podcast on Mental Illness. See also N.Y. Times editorial, "A Schizophrenic on Death Row," Oct. 18, 2012.